Valentine’s Day is probably the most loathsome, stress inducing holiday of the year. Okay, maybe I am being a little dramatic and slightly bitter, but really, think about it. There are tons of people ridin’ solo (myself included) who simply see the day as a reminder of their seemingly endless string of bad relationships, heartbreaks, or loneliness. No matter how many times we tell ourselves “I am better off without ____” or “I love being single!”, come Valentine’s Day we are all feeling at least the slightest twinge of pain. Even those in happy relationships are bogged down by the challenges of picking out the right gift, choosing between chocolate and flowers, or deciding whether tonight is the night to use the “L” word. Love is a tough game to play whether in or out of it; it is one of the most powerful and challenging emotions, so it only makes sense that this upcoming holiday is so often stigmatized and stressful. While I don’t see love getting easier anytime soon, I can only hope that these few tips will help make this year’s Valentine’s Day a little brighter and a little less stressful. And don’t worry there is something for everyone—even those Valentine-less. Many of Baltimore’s greatest restaurants offer fun and exciting menus for this special night. There are many prix fixe menus of three to five course meals that will have your mouth watering. These offers are great for couples looking for a night of candlelight and romance. Now for all my single guys and gals, don’t be afraid to get a group of friends in on a reservation. These special Valentine offers are a great excuse to finally try that restaurant you have been dying to dine at! Don’t be embarrassed that you are the only non-couples out, because while enjoying your delicious meal you can of course silently snicker about how you are “totally better off without”. The classic movie date—it never gets old. Baltimore’s charming Charles Theater is unique in that it offers first-run specialty films in addition to Hollywood movies, foreign films, indies, and classics. The Charles’ eclectic charm and cozy interior make it perfect for any date night. For a more traditional movie going experience, check out The Harbor East or AMC White Marsh . Both offer a wider range of films, most of which are current Hollywood releases. 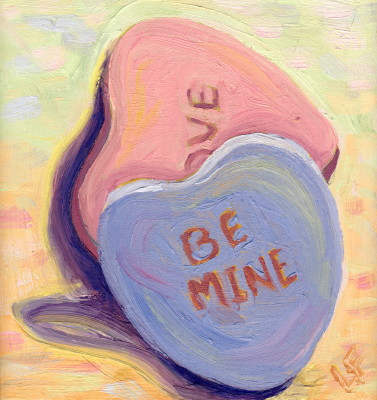 You are sure to find a romance suitable for you and your sweet Valentine. For my single friends, I suggest you stray away from sad romantic dramas this Valentine’s Day. Rather check out a comedy to keep the mood light, and your spirits high. 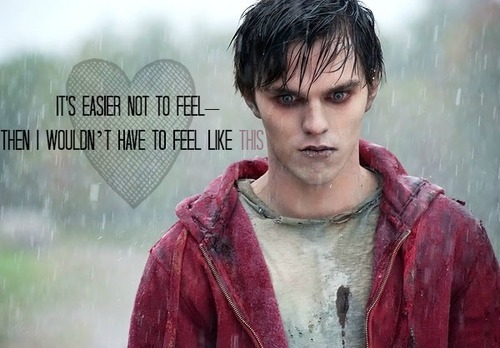 The newly released romantic zombie comedy, Warm Bodies, proves to be a box office hit, and may just be the perfect mix of humor and romance to get you through this Valentine’s Day. Check out the trailer! Also anyone looking to save a few bucks, Relativity Studios presents a free advanced screening of the Nicolas Sparks’ romantic drama Safe Haven. This special screening is on Wednesday, February 13 at 7:30 p.m. There are 50 free tickets available through Collegetown, and each person is allowed to download two tickets to the screening. Screening tickets do not guarantee admittance though, rather seating is on a first come, first served basis, so make sure to arrive early! Okay, I am really sorry to all those couples out there, but I had to do it. I had to dedicate something to singles only, seeing as this day is a little more depressing and a lot less romantic for us. 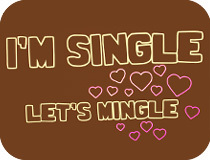 Now just to reassure the single people out there, you are not alone! Far from it! In fact many Baltimore bars and restaurants on Valentine’s Day solely cater to the vast population of singles. So if you can’t bear to see happy couples dining, canoodling, or partaking in other gut-wrenching activities, these singles-only events may be the best option for you. Grab a group of your favorite single people, and head out for a night on the town. 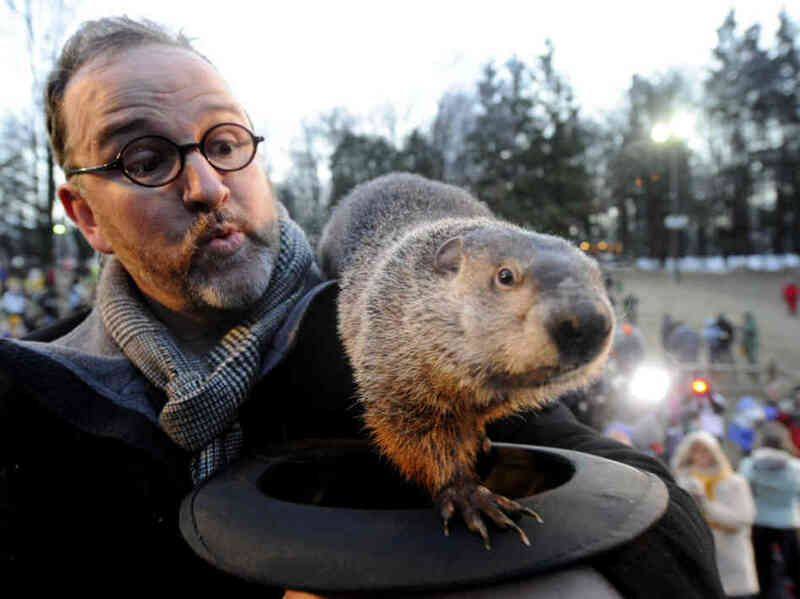 I don’t know about you, but I was ecstatic when trusty ol’ Punxsutawney Phil announced an early spring this year. Visions of warm weather, BBQs, and jean shorts ran through my head, but quickly these visions were shattered when I realized this only meant a few more months till graduation. So to my fellow seniors, as much as you would like to continue to sleep in, and put off building your resume (or anything remotely related to responsibility for that matter), now is the time to get your act together. And to any juniors and ambitious underclassmen, don’t feel left out; this article can help you too—it is never too early to exploring your options, and looking towards the future. Spring time seems to be a breeding ground for career fairs. Check out your school’s calendar or career center to see if your university or college is hosting any upcoming fairs. 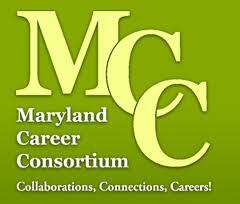 The Maryland Career Consortium (MCC) is hosting one of the largest career fairs in Maryland this upcoming week. On February 15 from 10:00 a.m. – 2:30 p.m. over 100 of the region’s top employers will be setting up camp at Towson University. If you have never been to a career fair, or are unsure how to make the most of your time, the MCC is also hosting a free online webinar. The webinar will share insider tips about what employers look for, how to prepare for the event, and techniques for marketing yourself to employers once you are there. The webinar is on Monday, February 11 at 3:00 p.m. With the help of the webinar, there is really no excuse not to attend this great event. Also be sure to sign up with a few friends. I force my friends to go to these kinds of events all the time so I don’t have to suffer alone; it’s the mentality that we are all in this together. It’s always better to know that someone is by your side, and this motivation makes it harder to back out last minute. Going with friends also makes the experience a lot less stressful, and a lot more fun. Before heading to any career fair make sure to clean up that resume. Many, if not most employers at career fairs will be collecting resumes. A resume is a continuous work in progress, so every month or so it is smart to go back and reread your information with fresh eyes—you may catch minor errors, or even have information to add. Use your school’s resources, because after gradation you are not going to have such readily available outlets. It was not until this year that I decided to pay a visit to my university’s career center, and I’m now just realizing how helpful it actually was in enhancing my resume. Visit your career center and schedule a resume critique. You might think your resume is perfect and ready to be sent out, but in all probability, it isn’t. It’s a great idea to have another set of eyes to catch things you may not have noticed. The career center employees are trained to find simple mistakes, and know exactly what employers are looking for in terms of content and style. Practice makes perfect. The only way you are going to get better at interviewing is through experience. Many career centers provide free practice interview sessions, sometimes even with actual local employers. While these practice interviews are still nerve-racking and sometimes awkward, it is better to mess up and learn from your mistakes now than when actually going for a job or internship. It is time to start sorting through your options. After visiting a few career fairs and talking to employers, begin to weigh the pros and cons of specific companies and employment opportunities. Find what suits you, and don’t just apply to jobs or internships that you are neither interested in nor qualified for. Do your research, and become an expert on the company. This will help you to tailor your cover letter and resume to meet the company’s expectations and qualifications. Being a knowledgeable candidate will also help you to interview better, and come off as more professional and sincere. Once when I was applying for a music public relations position, the interviewer ask me if I had heard of her and her music career in the 70s; I had to awkwardly and honestly answer no. If I had spent the time to do a simple Google search of her name beforehand, I would have realized she had a #3 hit on the UK charts in 1978…oops! I managed to still get the internship (well I was the only candidate), but I am sure I would have made a much better impression had I actually done my research. The biggest thing to keep in mind during this sometime scary, yet exciting time is to not get discouraged. There are going to be rejections, disappointments, and definitely tears of frustration, but see each experience in a positive light—a learning and growth opportunity. …One last thing! As spring quickly approaches, and another year academic nears an end, remember to have fun. Whether this is your last year or your first, it is important to balance your time. Get out and explore the beautiful city of Baltimore. I hate to use the cliché, but I can attest to the fact that time flies. Start preparing for the future now, but remember to have a ton of fun in the process! Congratulations! We’ve survived finals week! Alas- after countless sleepless nights and cups of caffeinated beverages, I have made it to WINTER BREAK! Woo-hoo! SIX WEEKS OF FREE TIME! I’m sure most of you are eagerly looking forward to catching up on sleep and enjoying the holidays. It might even seem ideal to hibernate on the couch and catch up on the latest episodes of The Walking Dead. What about the rest of the break? We have compiled a great to-do list on how to stay productive through this winter season! Get involved and give back to your communities. Serve at a soup kitchen, wrap gifts, tutor at the local elementary school or spend time with senior citizens at retirement homes. Start at Idealist.org and find volunteer opportunities near where you live. Stay busy and bring in the bucks. Some retailers are still stocking up on staff for the holiday shopping season. Try calling your summer job, maybe you can snag some hours during the break. Learn about your career and research current salary trends. Who are the major employers in your industry? You can never know too much about your profession. Make your portfolio shine and organize your work samples – use assignments or projects from your classes. Make sure to edit and proofread your resume and cover letter. There are plenty of interview tips, resume and cover letter writing books on Amazon or your local B&N store. Yes, cleaning out your inbox of 2,472 emails can be a daunting task. Reduce online clutter and delete messages you don’t need! You can even archive old messages or sweep them into folders. Did you know, “Clean Out Your Inbox Week” is the last working week of January? Enjoy holiday treats and spend time with family! This is a great time to plan a get-together party with old friends. Maybe pamper yourself to a massage and blow off the fall semester stress. After all, the winter break is all about YOU. What are your plans this winter break? Voice them out on our Facebook or Twitter pages. Baltimore Collegetown wishes you a safe holiday and winter break! 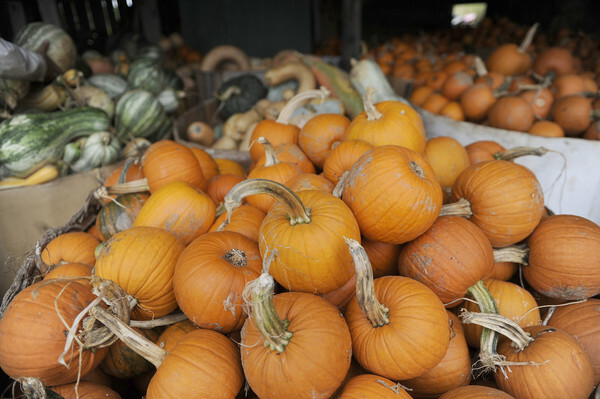 Hmmm, the smell of crisp morning air, the sounds of rustling leaves, and tastes of pumpkin-flavored everything… Nothing says fall like HALLOWEEN! As a kid, I’ve always loved hearing tales of ghost mysteries and spine-chilling urban legends. You can imagine how I felt when I learned about the Baltimore Neighborhood Ghost Tours starting this month. 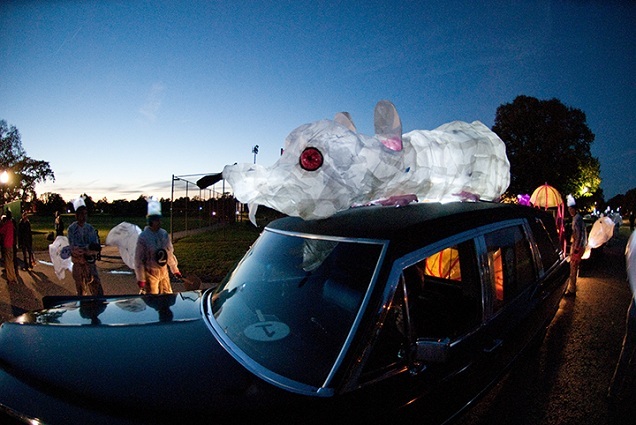 Whether you’re young or old, hate or love Halloween, there are numerous Charm City events and activities to enjoy for the spooky celebration! Don’t forget to grab a pumpkin latte from your nearest coffee place while you’re enjoying these events. Well, maybe a pumpkin-flavored beer for the last one. Nevertheless, DRINK RESPONSIBLY and have a safe Halloween. P.S. Share your photos on our Facebook page! Grab your mallets and bring on the crabs! Cracking bushels of steamed blue crabs has been a long-held Baltimore tradition. Every summer, Baltimoreans of all stripes endure the sting of Old Bay on their nicked fingers just to satisfy their crustacean fix! 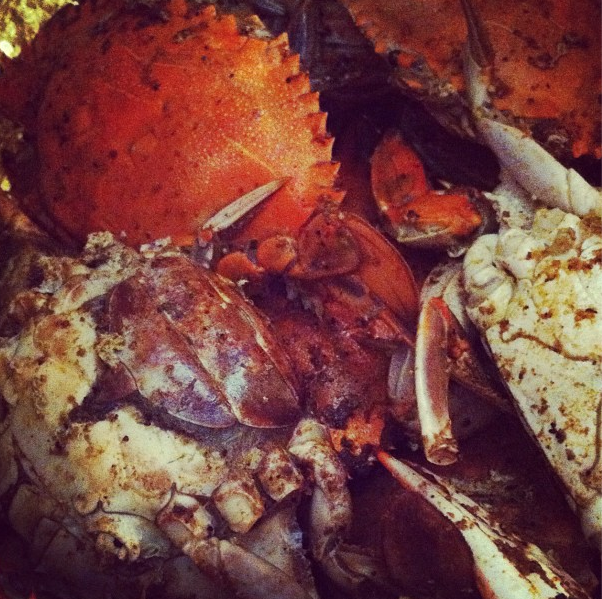 In Baltimore Magazine’s July edition, the editors share a list of their 20 favorite crabhouses. Whether you’re in town for an orientation, open house, summer internship or class, make sure to check out these local crab spots! For more on the list, visit Baltimore Magazine’s website. In the meantime, watch the Youtube video below on “How to eat a Maryland Blue Crab” by jcguidera. Kickstarter is one of my favorite sites to visit for a little inspiration. This innovative platform allows people to spread the word about their project or idea and raise the funds to see it come to life. Everyone is encouraged to use Kickstarter. Musicians, artists, filmmakers, designers, illustrators, etc. 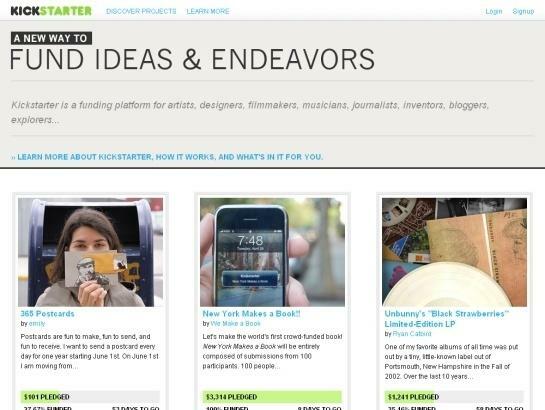 can use Kickstarter’s tools to create campaigns and watch as they gain backers and supporters. There’s a few rules and guidelines, but once your video is up and running your project has the potential to be fully funded. Whether you’re looking for inspiration or looking to inspire, Kickstarter lets you take a look at innovative and creative projects happening all over. Search by city and you can see what’s going on right in Baltimore.